The Motive LMS 4.0 eLearning management system is an innovative yet affordable SCORM conformant solution for hosting, delivering, and tracking workforce training. Custom courses and 3rd party content is delivered quickly and easily. Simple to use tracking and reporting features provide instant feedback of talent performance. Media-rich, on-demand learning branded with your company look and feel is delivered to your learners’ computers, tablets, or mobile devices, while effortless monitoring of course progress; completion of skill competencies, and proof of compliance drives your organization’s productivity and efficiency. "The Motive LMS has been instrumental in consolidating our employee training records from multiple locations, increasing compliance, effectiveness, and efficiency. Motive Learning has been a reliable partner, developing custom solutions when asked, providing cost-savings solutions when available, and always treating me and my co-workers with integrity and respect. I have no hesitation in recommending their services." With Motive LMS 4.0’s registration and reporting features talent management is a breeze. The Motive LMS 4.0 service provides the necessary hardware, software, and Internet bandwidth – all included in the initial hosting package. A mobile responsive LMS means your learners access the content they need, within the context that they want to view it. The Motive LMS 4.0 is mobile responsive on all screen resolutions so training in the field, anytime/anywhere is even easier. 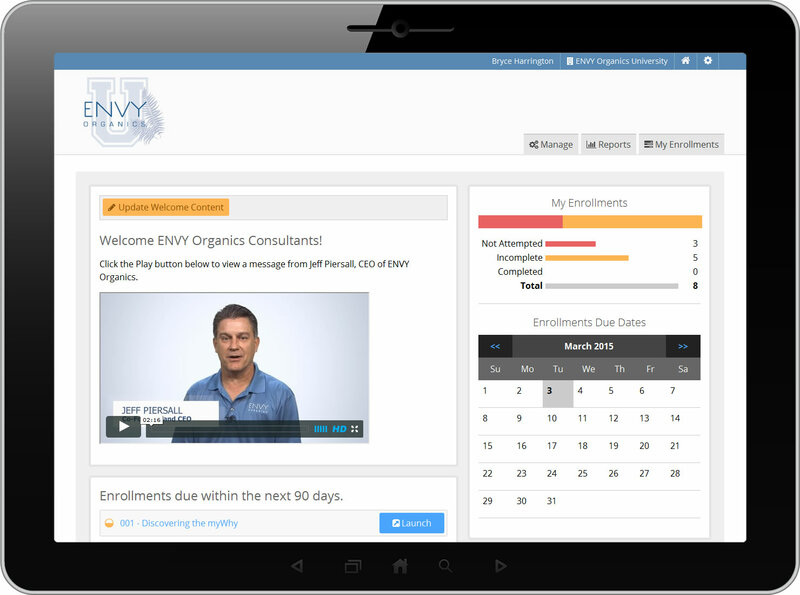 The Motive LMS built-in mobile platform, turns downtime into "learntime" with on-the-go access to company training. What's more, employees can easily watch video demos in the field and put their knowledge into action. HR Feed Integration: $110/hour programming charge – Estimated labor effort of 24 – 40 hours. © 2018 Harley Interactive Inc. All Rights Reserved.